“It all started when I flipped the boyfriend off. “Tiffany began dating Donato, a hairdresser with an ego the size of Texas and a strong desire to control. Upon meeting him and seeing the changes in my daughter’s attitude, I voiced my concern and brutally honest opinion including a strong dislike toward him, to my daughter. She told him what I had said, and the next thing I know, he’s on my doorstep yelling at me. He never gave me a chance to speak, and then as he was driving away, that is when I gave him the finger. I know — stupid and immature. 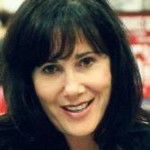 “That evening when my daughter returned, she was fuming, threatening to have nothing to do with me ever again; I relented, dialed his number, leaving a voice message that I was sorry. He did not respond. “The next day Tiffany packed her bags and those of Trevor and moved out of my house and into Donato’s. My fault — now my home, my life, felt empty. “It has been three years since they moved out and three years that I have gone from seeing Trevor every day and helping raise him, to seeing him less than one hour a year if I’m lucky. I can’t believe it has been that long; I never thought it would be permanent. I guess I still don’t, judging by my non-action. “I was cut out of both of their lives and forced to comply with my daughter’s “don’t call us, we’ll call you” law. She made it clear: “Don’t even try our number or e-mail; they have been changed, and I don’t want you harassing us by dropping by the house.” I didn’t go quietly; I tried everything to make amends. Nothing worked. Once, I attended his school’s open house and got reprimanded for that. “The holidays came and went; all I could do is wait and hope that she would come around. Oh and sometimes, she would throw me a crumb, which was better than nothing. I secretly hoped that the relationship between she and Donato would end, and then she and Trevor would come back. 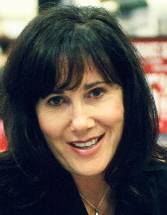 “Upon advisement from my support group, I finally consulted with a family law attorney specializing in grandparent visitation rights, and she informed me that I did have standing in court to file a petition for visitation because of the pre-existing relationship and strong bond that Trevor and I had shared since he had lived with me. I wrote the retainer check, signed the contract and never went back. “I stopped going to the support group meetings, stopped calling the coach for strategies, and let my pending lawsuit remain in limbo. “I wait and hope. Maybe my daughter will come back with my grandson. 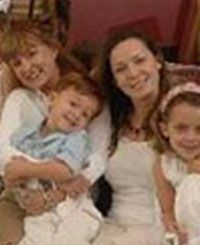 Denise came to me obsessed that her daughter had helplessly fallen into the powers of Donato’s control and that she no longer had the free will to make her own choices. She was so focused on the “whys” that she failed to see the true harmful result of her daughter’s behavior: the child’s welfare. Everyone lost sight of the relationship between the grandparent and grandchild. Grandma did a bad thing; mom retaliated, compounding the situation. No matter what is going on between the parents and grandparents, the child should not be the loser. What is truly sad is that this grandmother didn’t take action to protect the relationship, which would have been to maintain a consistent time allotment with her grandson, with whom a strong bond had developed. The grandmother had the opportunity to provide a balance. This child lost the stability of his home life and the affection and nurturing that his grandmother provided. Yet, the grandmother is in such denial that she fails to see that when someone shows you who they are, believe them. Including your own flesh and blood. Even if her daughter eventually “comes around,” what about the time that has been lost? When the only alternative to remain in a grandchild’s life, best interests considered, is through litigation; then time is of the essence. Court procedures are lengthy, and time in a child’s life is critical; besides, judges question delays in filing. It is all about the bond: the presence of strength resides in consistency and time. A child needs to know that a grandparent is willing to fight for them! 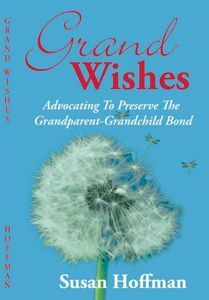 Susan Hoffman is director of the 501(c)3 Advocates for Grandparent Grandchild Connection and author of Grand Wishes: Advocating to Preserve the Grandparent-Grandchild Bond. Reprinted with permission by GRAND Magazine. Click on this link to receive a free subscription to GRAND – The Online Magazine for GRANDparents ($19.95 value – 12 issues) compliments of NABBW – http://bit.ly/GRANDMAG You\’ll get instant access to the current issue and archives.